Rent a Car Barcelona Spain - Best prices and customer service! Looking for attractive rates for a quality car rental in Barcelona without any unpleasant surprises? Barcelona.com has selected for you the best car hire providers, the best prices, the most modern cars, the best guarantees in case of accident and above all a customer service at your listening. 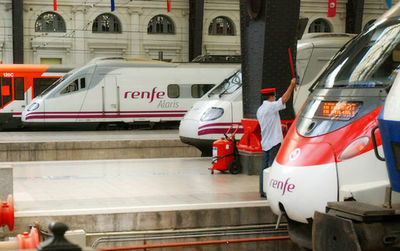 Rent a Car Barcelona : Tips, FAQs and conditions.. Your car will be picked up at Barcelona El Prat Airport, Sants Station, as well as at several rental points in the city centre and even in the area of the Port of Barcelona if you are arriving by boat. Here are some answers to your most frequently asked questions to help you make an informed choice. When to rent a car in Barcelona ? The most expensive months for car rental Barcelona are without surprises the most popular months for holidays. In July, August and December the prices per day for an average car soar respectively between 40, 32 and 37€. The cheapest months to rent a car are: January, September and November with an average price of 24€/day. The other months: February, March, April, May, June and October you can rent a car for between 25 and 30€/per day. Our advice to rent a car in Barcelona at the best price: Try to rent your car from 30 days before your trip. Prices, for example 90 days before your departure, will certainly be higher than in this booking area. You can thus save up to 30% of the price of your rental. What is the most popular rental car in Barcelona? The most frequently booked rental car type in Barcelona, according to our statistics, are the Smart Forfour and the Volkswagen Polo (both with manual transmission and air conditioning which is quite a good idea in sunny Barcelona). What age can you hire a car in Barcelona? Driver’s age to rent a car in Barcelona varies according to our service providers. Overall it ranges from 21 to 99 years old. Younger drivers will have to pay a "young driver fee" that varies according to car rental companies - between €5 and €17 including tax/day. To rent a car, you must be at least 18 years old (age may vary by car category) and have held your licence for 1 year. 18 years is the minimum legal age for driving in Spain. What documents are needed to pick up your car in Barcelona? A printed version of your voucher. Failure to present the voucher means the car rental agent may charge you at the local rates. If your driver's licence is not in the Roman alphabet (i.e. if it is in Arabic, Greek, Cyrillic or Chinese) you are required to bring an International Driving Permit and your domestic licence. For driving licenses from countries not part of the international driving license treaty, an official translation of the license must be presented with the original license. When renting within the EU, customers who do not hold a driving licence issued by an EU/EEA country or Switzerland must also present an International Driving Permit along with their domestic licence. Where can I find other information about my car rental contract? During booking process other useful information will appear. A variable security deposit ranging from 800 to 1100€, depending on the company, will be charged to your credit card throughout the rental period. Your deposit is a guarantee held in case of damage / theft of the vehicle. It will be automatically released if there is no theft or damage during the rental period. Speed limits in Spain are as follows: City 31mph/50kph Open Roads 55mph/90kph Highways 74mph/120kph. Failure to comply with these rules is classified as a serious or very serious infringement, punishable by fines of between 100 and 600 euros. Rules of the Road: Traffic travels on the right and if a car approaches you and signals an intention to pass, you must turn on your right directional to signal that the road ahead is clear. Gas stations are open from 8am to 8pm with some stations in major cities and on the highway open 24 hours. The average price for a liter of unleaded fuel is 1.40 Euro. Tolls: Spain's expressways, the ''autopistas,'' are toll roads and are identified by the letter A. For example, going from Barcelona to La Jonquera costs 11.40€ … that is 0.10 cents per kilometer. Parking: ''Blue zone'' parking exists in Spanish cities. Marked by the sign, ''Zona Azul,'' you may park for 2 hours. There are 4 different rates for the blue zone, depending on the demand of the zone. We recommend if staying some days in Barcelona to book your parking ahead of time, and obtain discount prices for periods of 24 hours or more. 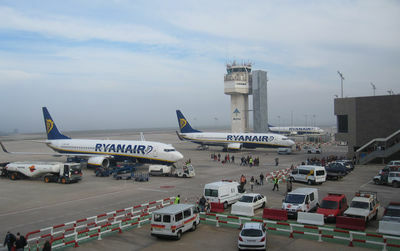 Tips and info to help you rent a car in Reus Airport. Compare Companies for the best rates. Our special features are Free cancellation - No credit card fees - Free Amendments. 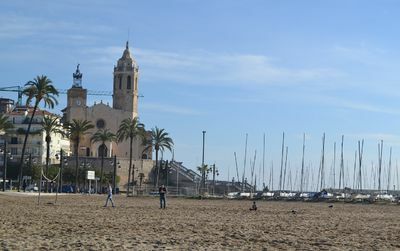 Tips and info to help you rent a car in Sitges. Compare Companies for the best rates. Our special features are Free cancellation - No credit card fees - Free Amendments. 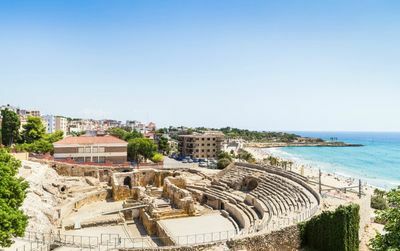 Tips and info to help you rent a car in Tarragona. Compare Companies for the best rates. Our special features are Free cancellation - No credit card fees - Free Amendments. 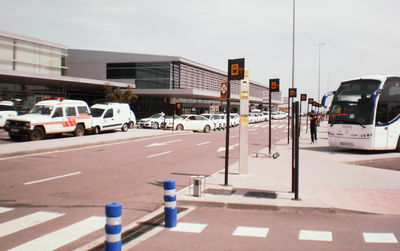 Tips and info to help you rent a car at Girona Airport Spain. Compare Companies for the best rates. Our special features are Free cancellation - No credit card fees - Free Amendments. Tips and info to help you rent a car at Barcelona Sants Station. Compare Companies for the best rates. Our special features are Free cancellation - No credit card fees - Free Amendments. 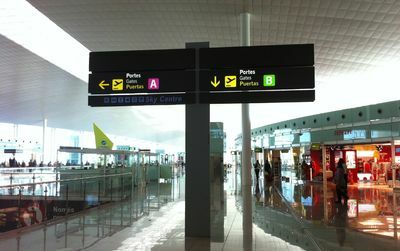 Tips and info to help you rent a car at Barcelona Airport BCN. Compare Companies for the best rates. Our special features are Free cancellation - No credit card fees - Free Amendments.